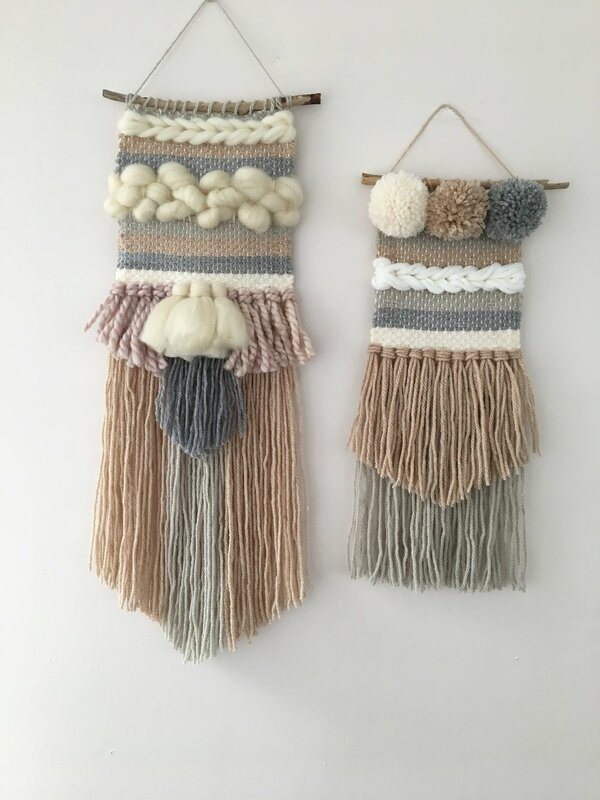 Join Natasha from Natasha Emily Weavings and learn how to make a woven wall hanging. Weaving is a growing trend and is well known for its therapeutic nature. Weaving allows you to play with texture and colour to create your own individual piece of art. This class is ideal for beginners who are interested in learning the basics of weaving on a small lap loom. The workshop will cover the basics of warping up a loom and getting the tension right. You will then learn various weaving techniques which will be talked you through step by step, using a selection of yarns and roving. You will then be shown how to finish and hang your weaving from a piece of driftwood to give it the perfect look. All materials will be provided for the course. The looms will be for course use only but will be available to buy for after the workshop if you want to make any future weavings. No prior experience is needed. Hot drinks and tasty nibbles are included. Limited number of spaces available. £40 per student - Payable in full to secure your place. please contact Wild Flowers to book. Class is now fully booked.